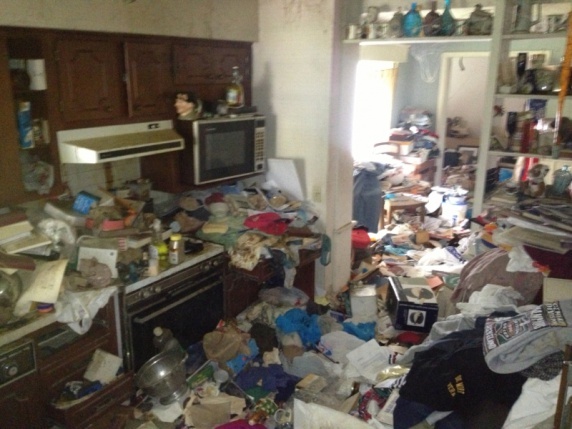 Foxtons specialise in the clearance of bereaved homes and overly cluttered & verminous properties. We cover all areas in the UK including Wales. All furniture & usual house contents. Removal & disposal of decayed/verminous carpets. We have built up a lot of experience and trust over the years dealing with these situations. We know that for you (our customers) this can seem like a never ending, stressful task. That’s why we do what we do. 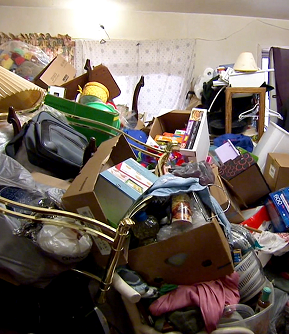 Our aim is to help you (our customers) get through difficult times like the house clearance process. 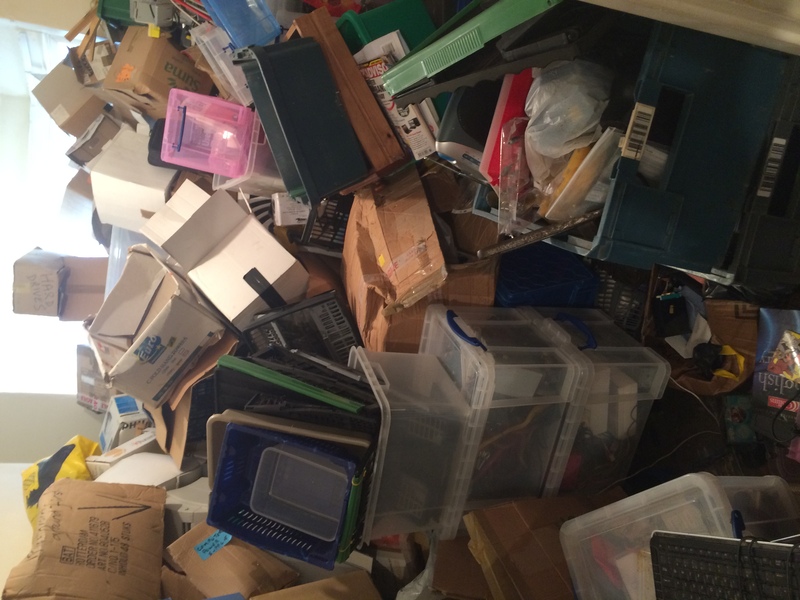 We understand that some people find it really hard to throw away old clutter and eventually it all builds up. Without realising you could end up having 10, 20 or even 30 years of belongings that have built up over this period. 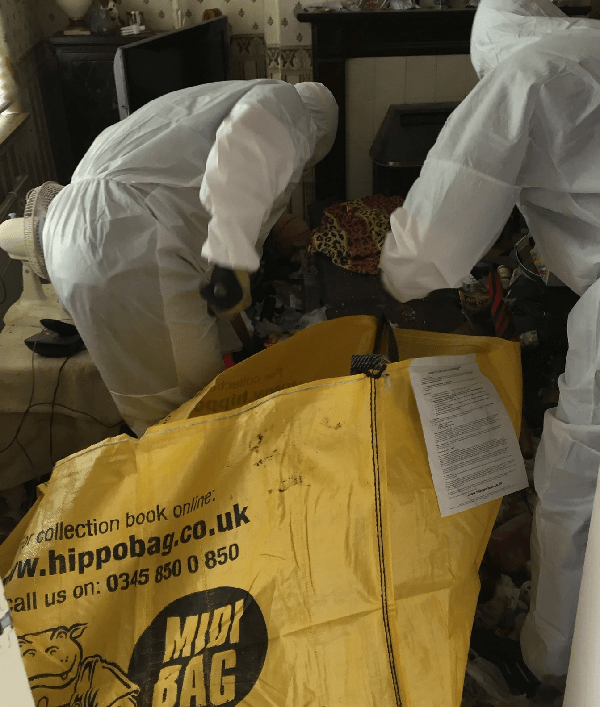 A cluttered or verminous house clearance generally takes a longer time for us to clear out, simply because of the amount of belongings and work involved. 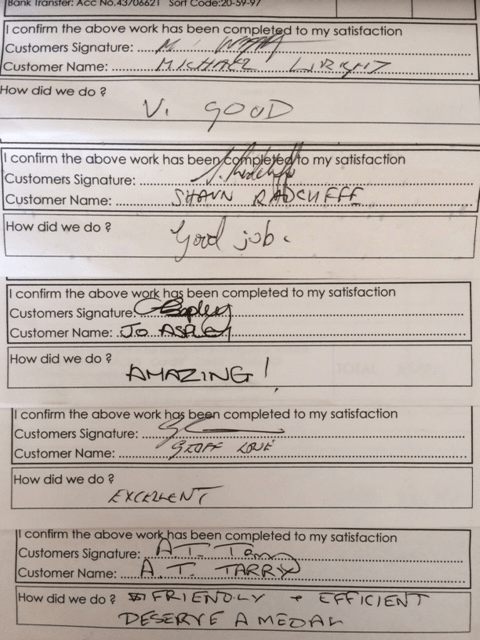 However we find these types of clearance really rewarding and in the past have helped some of our customers in more ways than just clearing out their house, we have helped them get over a period in their lives that they have been struggling with. This is the reason why we do what we do. The fist step is for you to get in touch and explain your situation. You can call us free: 0800 2922388 or Mobile: 07746279835, or you can email us. If you are able to, please send any photos of the property in its current state to: foxtonshouseclearance@gmail.com. This will assist us greatly in ensuring that you are quoted accurately. We can include our cleaning service into the quote at this point, if requested. •We are more than happy to quote via email or telephone. •We fully explain what we legally can and can’t remove. •We never charge extra for items like fridges, mattresses and TV’s. Our experience allows us to assess the property and ensure that the clearance is completed in the most professional way possible. All our staff are trained and experienced for all situations so please do not feel the need to hold back. We might need to arrange an appointment to view the property however most of the time we can take in information over the phone and provide you with a quote without the need to view the property. 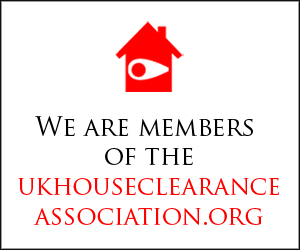 As explained if possible we would appreciate if you are able to send us photos of the clearance by email: foxtonshouseclearance@gmail.com this enables us to analyse the situation better and provide you with a more accurate quote. Once you have contacted us, we will take in all the information you have given us and work out what we think would be the best way to deal with your situation. 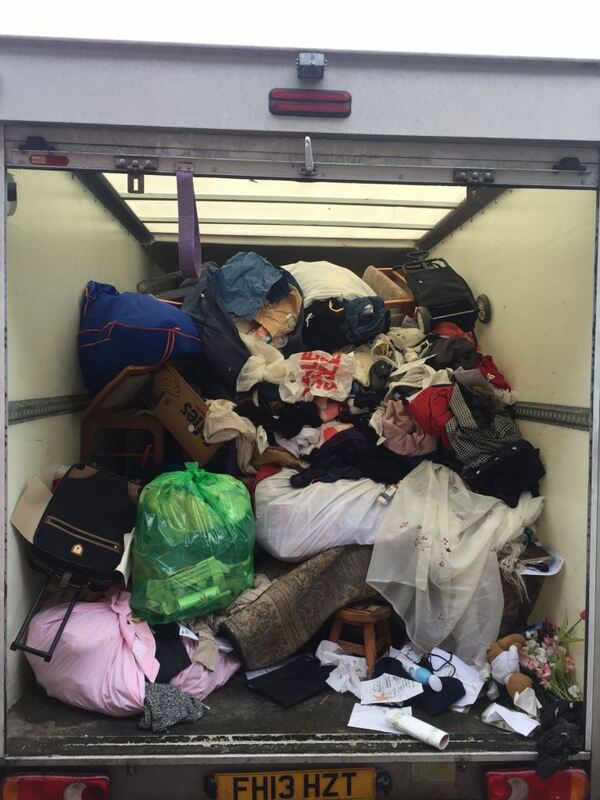 We will then explain how our services work and provide you with a quote for us to carry out the cluttered or verminous house clearance, our quotes include all costs, there is no hidden or extra charges. Once the quote is accepted we will arrange a date and a preferred time, and we guarantee to turn up on that date and time. We have never let a customer down in the past and always work towards customer satisfaction. 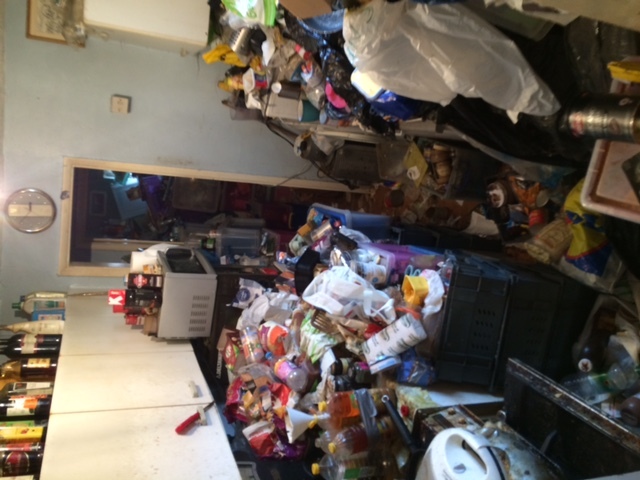 Our fully uniformed, trained staff will then carry out the cluttered or verminous house clearance, we will stay until the full property has been cleared completely and we do not ask for any payment until the work is completed. All our customers will be provided with a full invoice for their own records, the invoice will hold all our company details. How Do I Check That A Company Holds A Waste Carriers License? 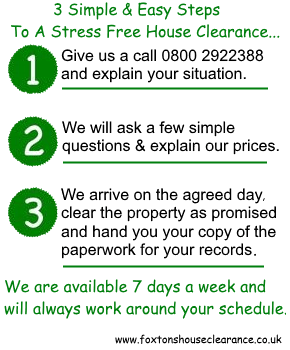 You can of course call us, Foxtons House Clearance. 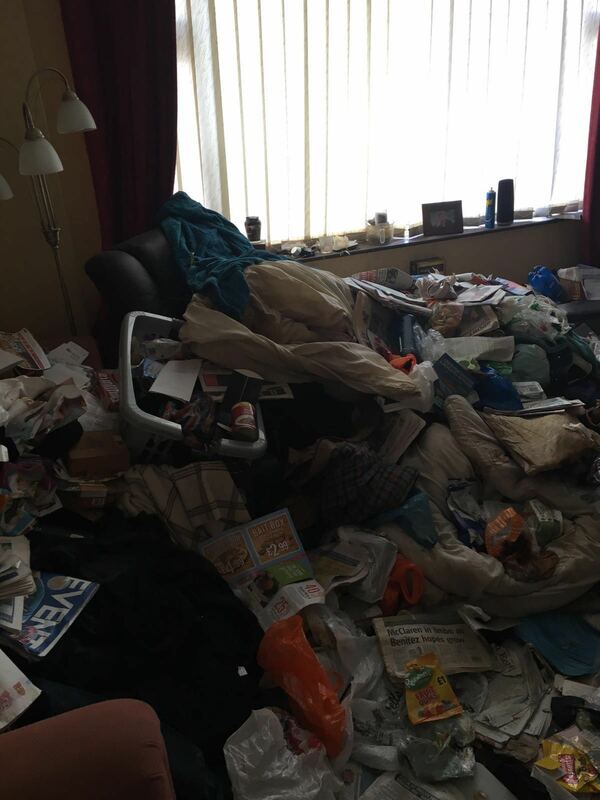 We will be more than happy to carry out your cluttered or verminous house clearance or even just to offer you free impartial advice on what would be the best way to deal with your situation. However if you decide not to use Foxtons House Clearance, we advise you to please choose a reputable company and most importantly check that they are fully licensed to carry all waste. We can also offer a general cleaning service once the clearance is complete if needed. The clean will include all vacuuming of floors, cleaning of all surfaces and woodwork (door/window frames etc…), inside of all cupboards and inside windows. *PLEASE NOTE*–We do not offer a external window cleaning service or oven cleaning. 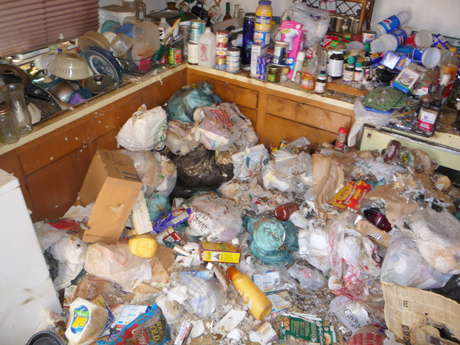 Below is some examples of cluttered & verminous properties to give you an idea of the work involved.